In honor of last Saturday being the 25th anniversary of the Seinfeld airing (holy crap, 25?!?! 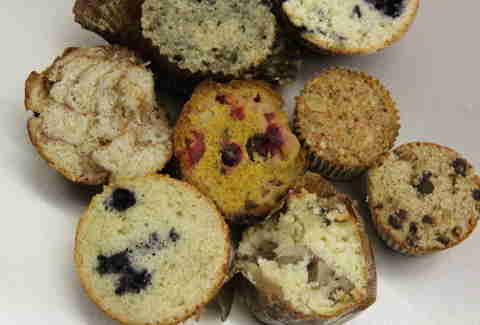 ), and because you can't eat a Festivus pole, we gathered up as many awesome NYC muffins as our intern could carry, chopped the tops off, and taste-tested them to determine A) if Elaine had a viable business plan, and B) whose muffin top is the king of muffin tops. 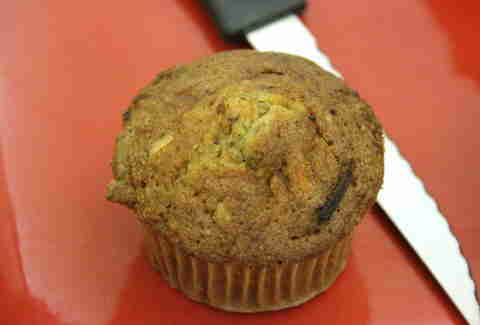 Muffin top rating methodology: We had three tasters all simultaneously eat a piece of the same muffin top, and then rate said top on a scale of 1-10 for both taste and texture, and provide comments. 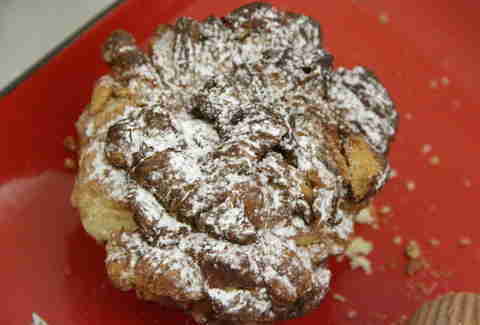 Then we added up all the points totals, yadda yadda yadda, and crowned a Master Of The Muffin Top Domain. 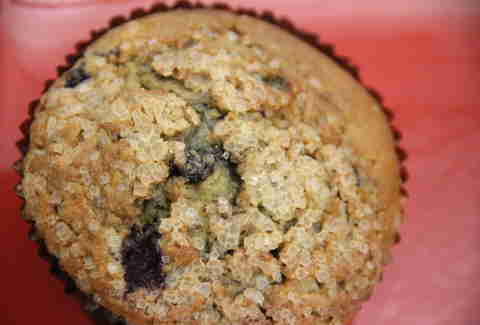 It was generally agreed that this muffin -- while pleasant and inoffensive -- just didn't pack enough flavor in, and the crunch of crumbles were nice, but there weren't enough to deliver on its visual promise. While the tasters were impressed by the complexity of the flavors (which include carrots, raisins, and other healthy-ish goods), the verdict was that the top was too much like a bottom, and the whole thing would've worked better as a banana bread-esque loaf where you wouldn't have that "crust expectation". This bad boy had the same issue as the Ted & Honey top; the flavors were bright, fruity, and interesting, but the top featured mostly what was referred to as "stump texture" that "didn't fight back enough". The tasters all agreed that this was the one they were most excited to taste. 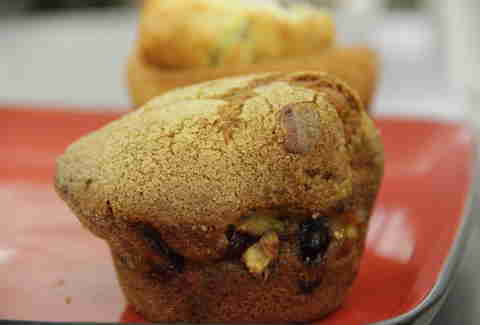 It was cinnamon-y, substantial, and sweet, but ultimately not complex enough for our tasters, who were uniformly impressed with the hybrid muffin/pastry feel of the top. 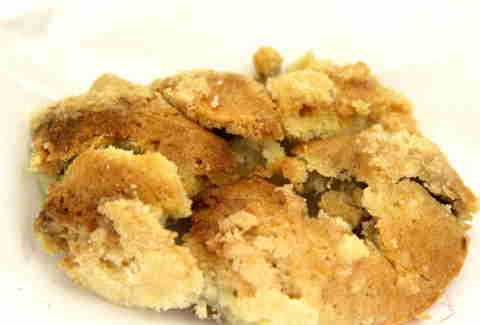 There was some grumbling that it was "a little too cookie-like", and "using chocolate chips is almost cheating", but since this taste-test had zero cheating rules, it checked in at No. 3. 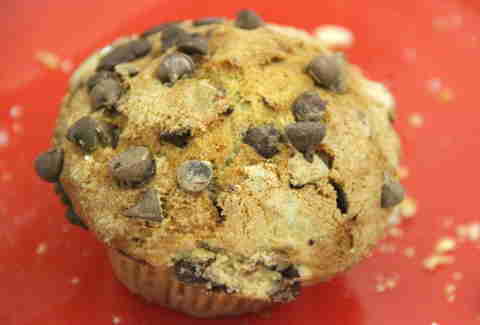 Everyone agreed that you could tell they used quality ingredients, and that the ratio of chocolate-to-muffin was on point, while the top offered "good chew" and "good resistance". The sugar crystals on top were a hit, but the tasters agreed it was a "proxy for the crust". Still, this guy provided the necessary crunch they were looking for, plus they also enjoyed the fact that it wasn't straight-up stereotypical blueberry, thanks to a hint of lemon (probably zest) in it. 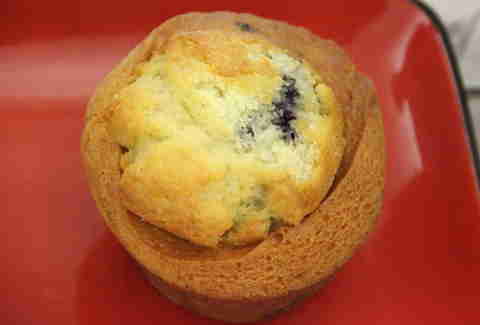 Our tasters' sense of nostalgia kicked into overdrive with this one -- a "classic, country store muffin" that boasted both a great buttery flavor and tons of blueberries. The top had just enough firmness and chewiness to provide ample resistance to avoid any mistaking it for a stump. 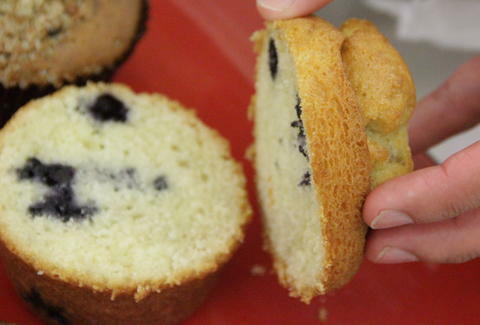 Despite the fact that the tasters agreed that the tops were, in fact, the best part of the muffin, they couldn't get past the fact that the interplay between top and bottom is essential to the muffin experience. Sorry, Elaine. Andrew Zimmer is Thrillist's NYC Editor and he likes his muffins split, buttered heavily, and grilled. Follow him on Twitter and Instagram. Tasters included Thrillist Contributor Manager Mike Barish (@mikebarish), Thrillist Travel Editor Ryan Craggs (@ryanrcraggs), and Thrillist Senior Editor Jesse Brukman (@J_Brukman).